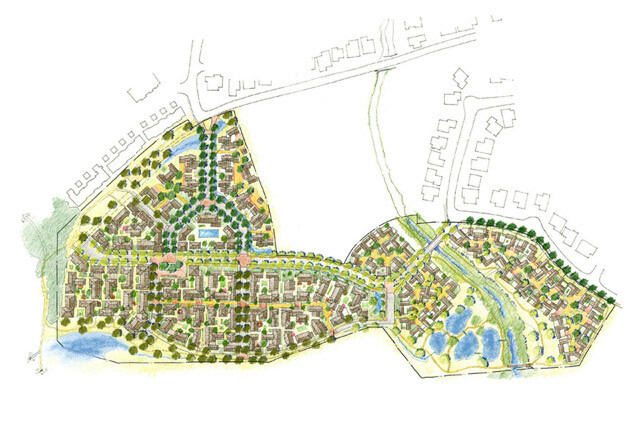 The UCSB North Campus Housing Plan will guide the development of 40 acres of vacant land north of the Ocean Meadows Golf Course in Goleta, California. Faculty housing will be organized into an affordable and sustainable neighborhood with a variety of housing types. Courtyard housing, duplexes and compounds, a commons building, parks and squares on a grid of varied streets will connect the project with surrounding tracts. The new neighborhood of new and existing buildings will give residents access to retail, the beach, the University and other destinations, all within walking and biking distance. 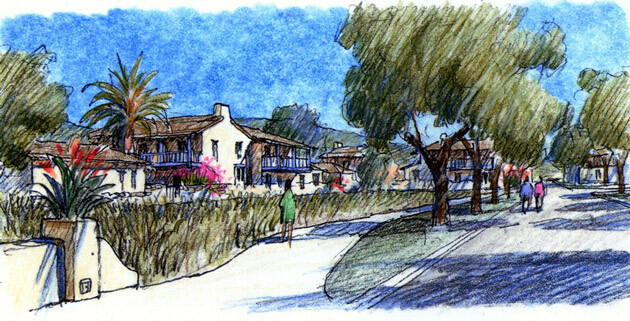 Sustainable design concepts integrate new buildings and gardens into the natural framework of the Santa Barbara region.